,p>Lithography uses simple chemical processes to create an image. For instance, the positive part of an image is a water-repelling (“hydrophobic”) substance, while the negative image would be water-retaining (“hydrophilic”). Thus, when the plate is introduced to a compatible printing ink and water mixture, the ink will adhere to the positive image and the water will clean the negative image. This allows a flat print plate to be used, enabling much longer and more detailed print runs than the older physical methods of printing (e.g., intaglio printing, letterpress printing). Computer-to-plate (CTP) is a newer technology that allows the imaging of metal or polyester plates without the use of film. 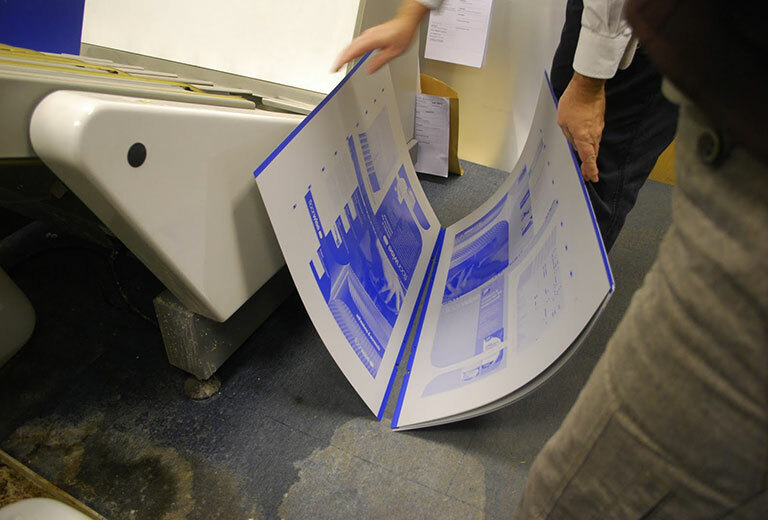 By eliminating the stripping, compositing, and traditional plate making processes, CTP altered the printing industry, which led to reduced prepress times, lower costs of labor, and improved print quality. Most CTP systems used thermal CTP as opposed to violet CTP, though both systems are effective, depending on the needs of the printing job. Thermal CTP does have the advantage of higher quality, but violet CTP does cost significantly less. Thermal plates are generally used for shorter runs, while violet CTP is employed for longer runs, and is popular with two-up and four-up applications.Thermal CTP has the additional benefit of using binary exposure, which limits the risk of under or overexposure, and makes it possible to work under yellow light. Thermal CTP involves the use of thermal lasers to expose and/or remove areas of coating while the plate is being imaged. This depends on whether the plate is negative, or positive working.